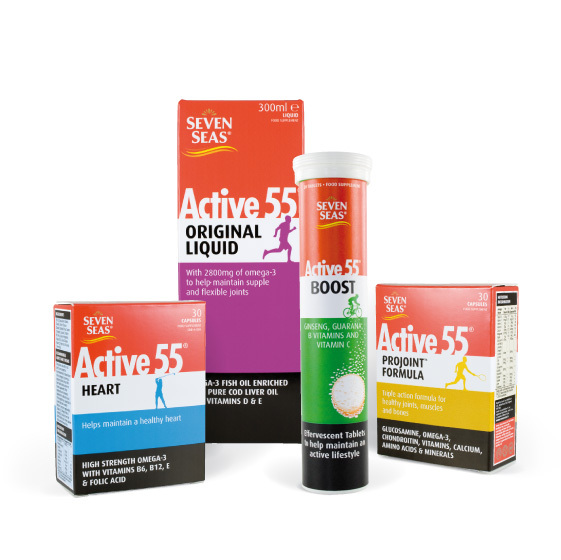 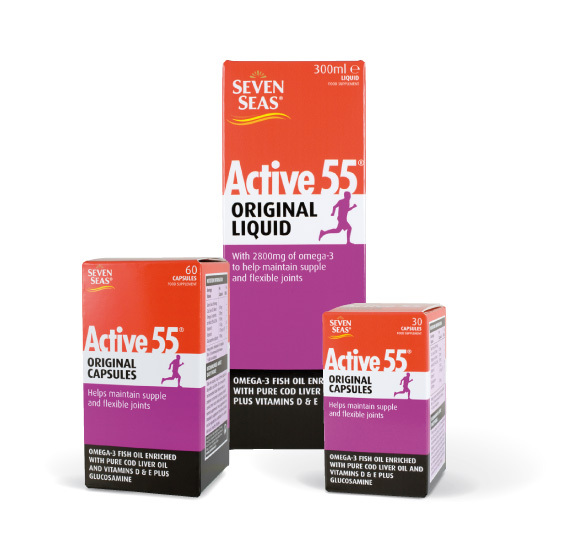 Active 55 is a range of high-value dietary supplements produced by Seven Seas for older consumers who want to improve their joint health. 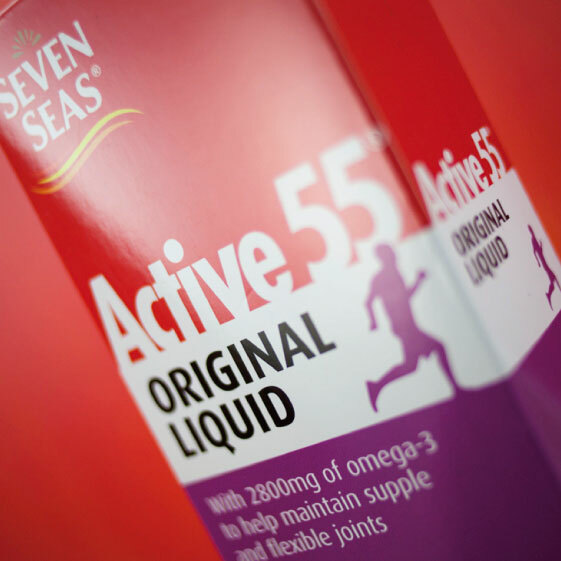 The existing design suffered from a lack of clarity thanks to the multitude of messages on the pack while the subtle differences between the variants were not being enunciated clearly. 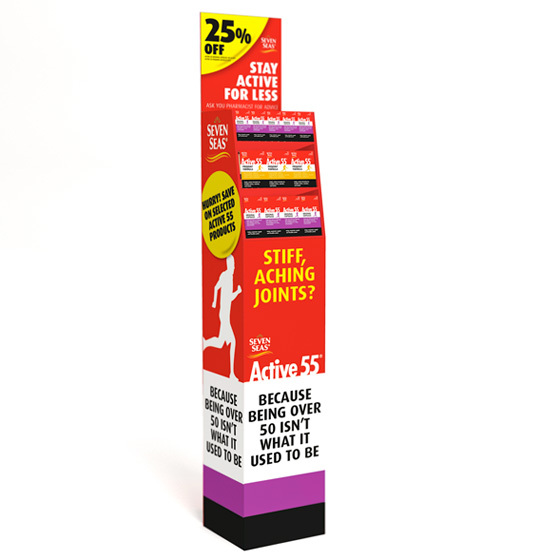 Lastly, the existing design had a dark, gloomy appearance. 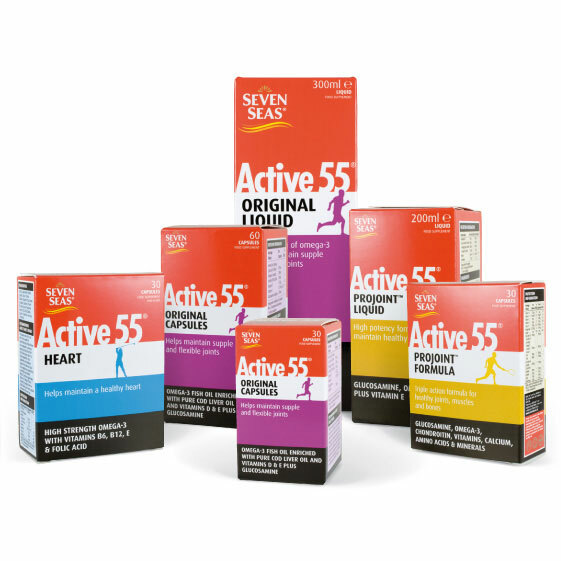 We solved these problems by identifying the variables across the range and introducing a grid structure which separated clearly the Seven Seas logo, the new Active 55 logo, the product name, ingredients and benefits Lastly we used a bright colour coding system to help consumers identify the variant suitable for their needs.